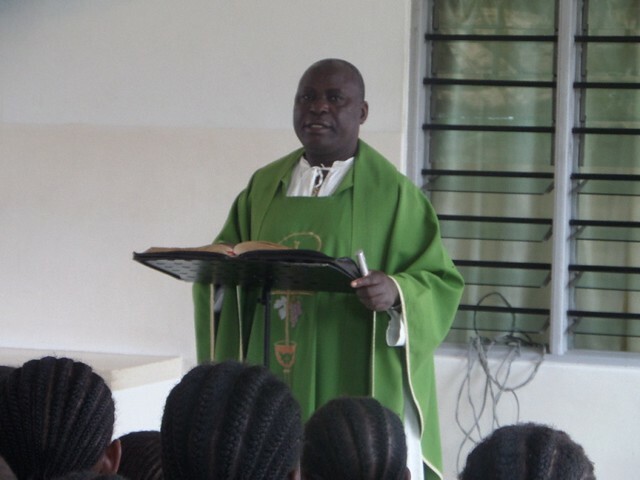 Due to changes in the school calendar imposed by the Kenyan Government Friday 28th October was the last day of the 2016 Academic Year for staff & pupils of St Bernadette Mary School. It is very early compared to previous years giving the children nearly 10 weeks holiday but we have to adhere to the strict guidelines set by the government. 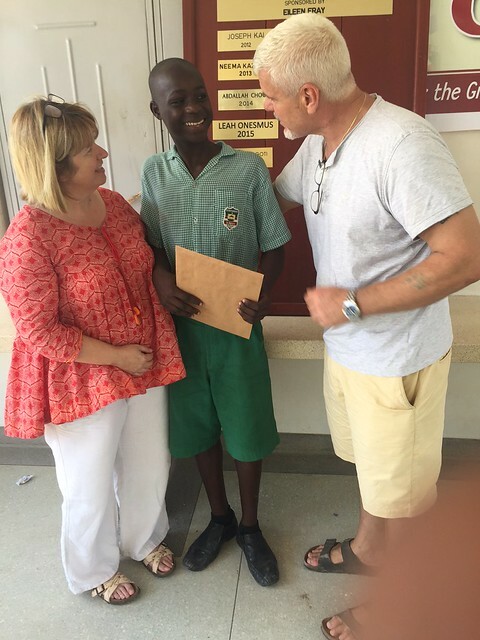 As always the school is a hub of activity and excitement with many children receiving recognition for their achievements throughout the school year. Celebrations started with a thanksgiving Mass with Father Matua, it was good to see a large number of parents also in attendance. Along with giving thanks for the previous year, the Standard 8 pupils who are sitting their K.C.P.E. Examinations next week are blessed, all pupils also get new stationary so they are fully prepared for three days of back to back examinations. 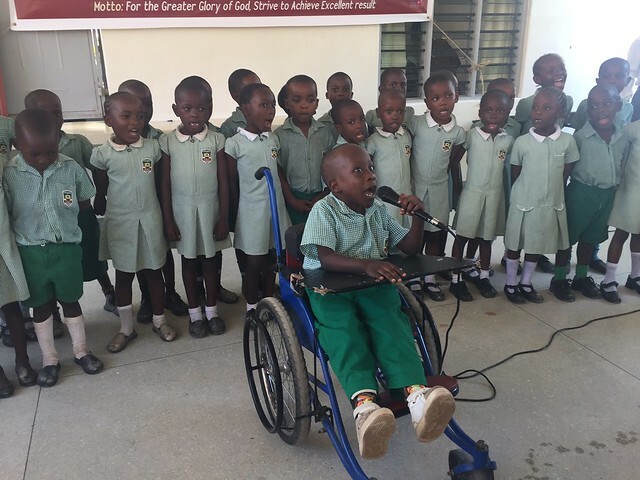 Madam Paula’s KG2 with Lawrence as the Master of Ceremonies started the entertainment for the day, they performed a wonderful poem followed by a very energetic song. Class 2 also kept us all smiling with their verse followed by a wonderful performance by Carrie, Emi, Elle and some of our GLO children.The girls had been practicing with our children and for many this was the first time they had heard a ukulele, everyone clapped & cheered. 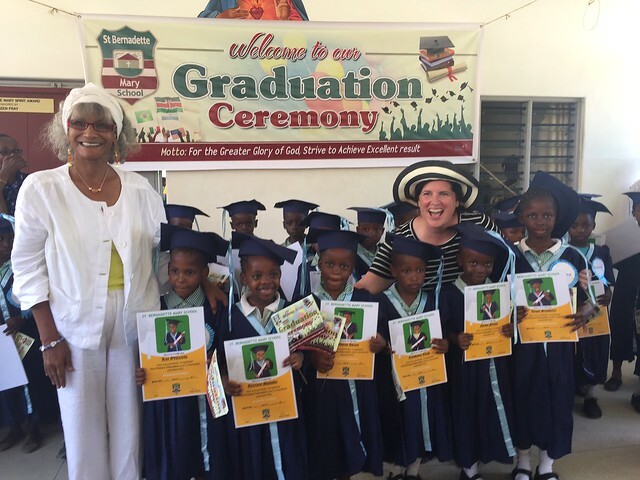 Madam Phelister led our KG3 onto the stage, it was their Graduation Day and their little faces lit up once they told us all of their hopes, it was indeed a joy to behold. 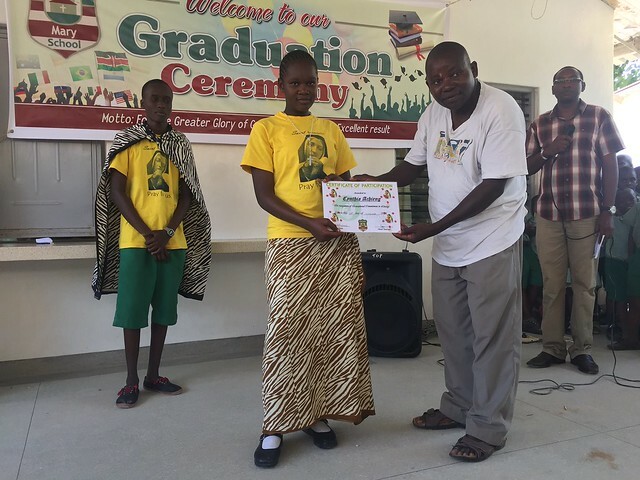 Mama Waseema and Mama Carrie our visitors presented the Graduation Certificates, we were especially proud of our group of GLO children who have now graduated and will be joining Standard 1 in January 2017. Many of our pupils received certificates as recognition for being part of our very active Sports Team, Art Class, Religious Instruction and our prizewinning choir. In four years SBM School has developed an award winning choir under the tutelage of Mr Stephen Kinyungu who earlier this year won a 1st & 2nd place at the National Music Competition in Nairobi. They brought back the prestigious Peter Sillingi Trophy to the coast for the first time ever. We were blessed to be able to listen to their two awarding winning songs, the whole audience were as quiet as mice whilst listening to our talented pupils. 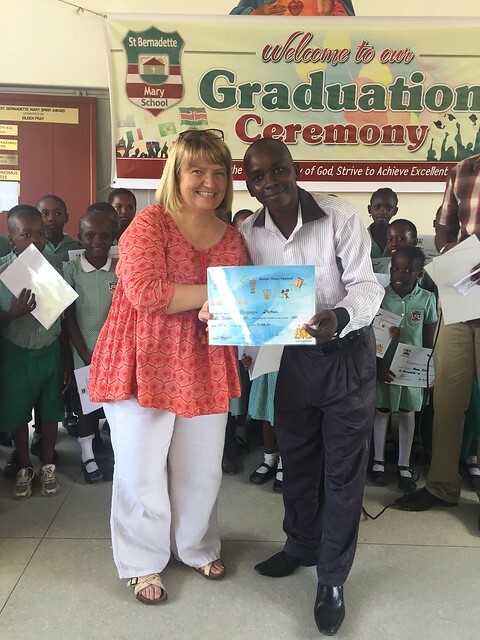 The climax to the celebrations was the unveiling of The Spirit of SBM School Award, this award is sponsored by Eileen Frey and 2016 produced a very worthy winner, Harrison Mgoti. Harrison has transformed from being a troublesome boy to one of our best behaved pupils, he is a shining example to all our pupils of the true ethos of our Spirit of SBM School Award. 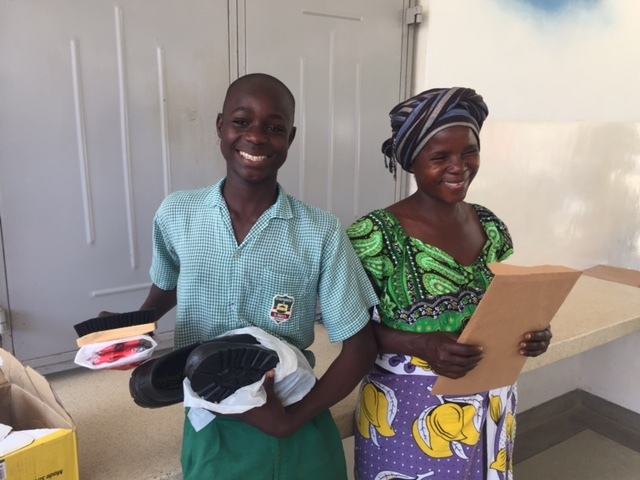 The Mgoti Family were very happy to accept the gifts along with Harrison as they are a needy family but in spite of all the hurdles they have to overcome on a daily basis have produced hardworking, dedicated pupils such as Harrison and his older brother Sammy who is at secondary school in Gesusu. With 2016 coming to a close soon, we wish to thank our SBM school Teachers, Support Staff and pupils for making this a very successful academic year, onwards & upwards for 2017. Well done Harrison – great to see!